In 2018, the Company adhered to the new development principles, deepened reform and innovation, and continued to promote network intelligentisation, service ecologicalisation, and operation intellectualisation. The Company also accelerated scale development, improved quality and efficiency and continuously increased its corporate value. In 2018, the Company’s operating revenues increased by 3.0% year on year to RMB377.1 billion. Service revenues increased by 5.9% year on year to RMB350.4 billion. The Company’s revenue structure was further optimised, with revenues from emerging businesses accounting for 51.9% of service revenues, up nearly 6 percentage points year on year. Of which, handset Internet access revenue and DICT revenue increased by 22.4% and 21.4% respectively year on year, forming the major drivers of revenue growth. In 2018, mobile subscribers net addition of the Company was 53.04 million, which represented an increase of 51.7% compared to last year and was the all-time high in the Company’s history. The total number of mobile subscribers now exceeds 300 million, with market share climbing to 19.6%, representing an increase of 2.0 percentage points compared to the end of last year. Of which, 4G subscribers reached 242 million, with a net addition of 60.39 million. The Company firmly grasped opportunities brought by the rising demand for data consumption, and further sped up the expansion of mobile subscribers scale. The market share of mobile subscribers net addition reached 43.6%, ranking the first in the industry. While maintaining the strategy to position large data traffic packages as the key products, the Company optimised its package portfolio and reduced the number of packages. Focusing on cooperation with Internet companies leading in video and e-commerce areas, the Company promoted the convergence of large data traffic, content, applications and users-only offers. Leveraging on differentiation advantages from BestPay red packet and Orange Instalment Payment Service, the Company strengthened the coordination among channels and enhanced user experience to drive volume and value growth of data traffic. As a result, handset data traffic and handset Internet access revenue registered increases of 291% and 22.4% year on year, respectively. User satisfaction with the Company’s handset Internet access ranked the first in the industry. The Company insisted on the multi-mode handset strategy, promoted industry chain development, and published the industry’s first white paper on multi-mode AI handsets. The accumulated number of multi-mode handsets within the industry now exceeded 1 billion, maintaining a stable market share of over 80% of the entire handset market. In 2018, the number of self-registered multi-mode handsets of the Company was 160 million, an increase of 23% over the previous year. In 2018, the Company’s wireline broadband subscribers net addition was 12.26 million, with the total number of subscribers reaching 146 million, of which, subscribers of 100Mbps or above accounted for 66%. The e-Surfing HD subscribers net addition was 19.59 million, with the total number of subscribers reaching 105 million. 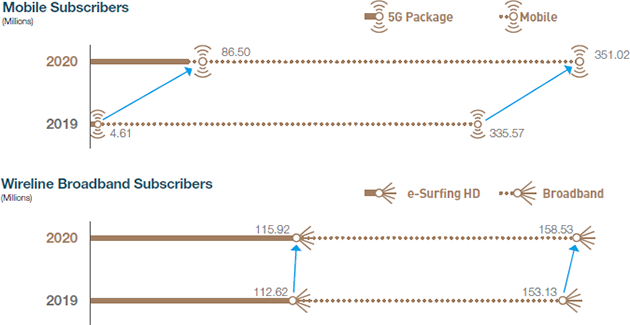 Insisting on the positioning of Gbps service as the Company’s top broadband product and a convergence-driven development approach, the Company fulfilled the needs of individual and family consumers with convergence packages that feature high-speed premium broadband, large data traffic, e-Surfing HD, and Smart Family applications. In this way, the Company created new edges in terms of smart broadband services, with the net addition of broadband subscribers reaching a six-year high. 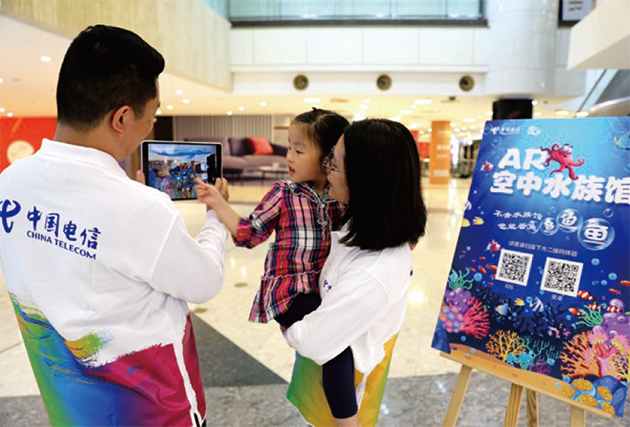 Focusing on the needs of its family customers, the Company scaled up its introduction of Smart Family applications, built a nationwide centralised platform for value-added services, and unified previously separate accounts for broadband and e-Surfing HD services. The Company also sourced popular content to create members-only packages of e-Surfing HD with movies and TV shows, education and sports. This enables a shift in the Company’s business model from charging connection fees to charging membership-based fees, thereby propelling the e-Surfing HD business towards value creation. The Company further enhanced the user experience of family cloud, whose subscribers number exceeded 26 million. The Company also built professional Smart Family engineering teams, and promoted the standardisation of Smart Home Networking service, whose number of services delivered was close to 20 million times during the year. The Company also maintained its leading edge in broadband services, sped up the upgrade of installation and maintenance systems and capabilities, and promoted services and products upselling on top of installation and maintenance. The success rate for honouring the Company’s “same-day installation, same-day maintenance service guarantee, compensation for service delay” was significantly improved, while the satisfaction rate for broadband services continued to outperform the industry. In 2018, the growth of revenues from the Company’s Intelligent Applications ecospheres accelerated and accounted for 16.9% of service revenues, an increase of 2.2 percentage points compared to last year. The Intelligent Applications ecospheres also contributed over 50% of incremental service revenues and increased revenue growth by 3.3 percentage points. The Company sped up service ecologicalisation through enhancement of core product capability induced by accelerated ecosphere endowment. DICT business achieved rapid growth, with products capabilities centred on cloud-network integration being proactively promoted. The Company developed industry dedicated lines and dedicated cloud access, while its capability of developing holistic industry cloud-network solutions was significantly enhanced. 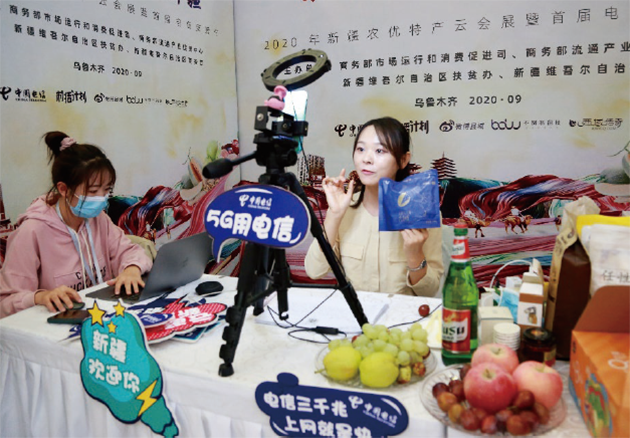 The Company also explored vertical “Internet+” services area in detail, spurred upgrade of conventional industries with “Internet+” services and the number of projects with annualised revenue higher than RMB10 million exceeded 100. DICT revenue increased by 21.4%, of which, revenue for cloud business increased by 85.9% compared to last year. The Internet of Things (IoT) business has entered high-speed phase of development. Based on the framework of “Cloud – Pipes – Devices – Applications”, the Company continued to focus on developing its core IoT capabilities and providing one-stop solutions for industrial IoT applications. Net addition of IoT users doubled year on year, with the number of connected devices exceeding 100 million. IoT revenue also doubled compared to last year. 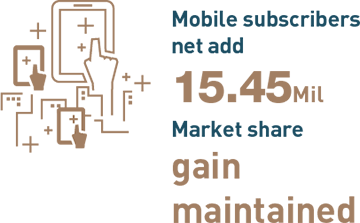 Internet Finance ecosphere also made new breakthroughs. The Company leveraged the advantages offered by its traditional channels to widely expand consumption scenarios, while the Company’s innovative integration of payment channels provided one-for-all receipt and payment solution. The number of BestPay active participating merchants increased by more than 2 times, while the number of average monthly active users exceeded 43 million. Innovative products like BestPay red packet and the Orange Instalment Payment Service drove mobile subscribers to increase by approximately 20%, achieving integration and mutual development among ecospheres. The Company continued to build three systems in terms of ecosphere products, customer management and integrated sales channels, surrounding the “Trinity” value management system featuring “convergence for scale expansion, integration for application development and intelligentisation for efficiency enhancement”. Such measures created competitive advantages based on factors of productivity plus capabilities, further cemented the capability foundation for scale development of the five ecospheres. The Company promoted the construction of an ecosphere products system, accelerated the consolidation of its resources and mechanism innovation, formed capability development centres for cloud, DICT applications, Smart Family and IoT. The Company also fostered high-quality products and enhanced its supply-side capability. Focusing on user experience and value management, the Company established a customer lifecycle management system, injected intelligent elements to and provided ecological endowment for its channels through precision marketing leveraging Big Data. The Company propelled the process of existing customers upgrading to multi-featured convergence packages as well as large data traffic packages, and commenced ongoing uplift of its customer service quality. 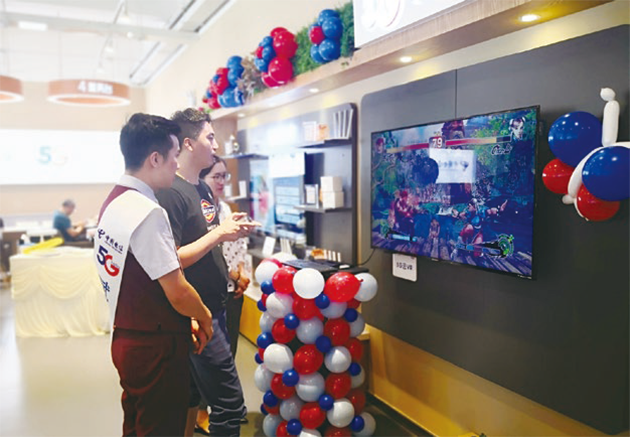 The precision marketing backed by Big Data covered more than 60% of the Company’s customers, whereas the triple-play penetration rate of broadband subscribers increased by 12.7 percentage points compared to last year. The Company built an integrated sales channel system of “self-owned + third-party”, “online + offline” and “platform + sales reach” channels, in order to adapt to the trend of sales channels’ step-up transformation in the new retail era, and to bolster efficiency and effectiveness. As a result, the proportion of outlets with high sales volume further increased compared to last year. The intelligent upgrade of our self-owned outlets set a new industry benchmark, while innovative collaborations with third-party channels expanded our sales reach. Through extensive cooperation with new retail stores, we also scaled up the expansion of our integrated sales channels. 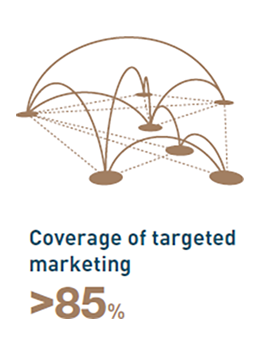 The operational capability of our sales channels was continuously enhanced, while the establishment of a corporate core was further promoted, injecting intelligent elements to our marketing and operational management. As a result, average system processing time for services was greatly reduced, and operational efficiency and customer experience were significantly enhanced. With customer experience as the focus, the Company continued to promote the quality enhancement and intelligent upgrade of its network. To strengthen its fundamental network, the Company leveraged Big Data to enhance indepth coverage in key locations and support dynamic capacity expansion of its 4G network. The total number of 4G base stations reached 1.38 million. Nationwide commercial trials for VoLTE services were carried out. Fibre network now fully covers all cities and towns in the service area of the Company. 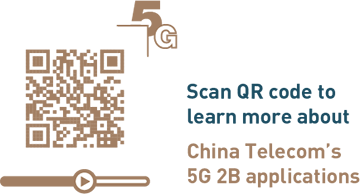 The Company proactively explored the Gbps market, with Gbps connections now enabled in 180 cities. The bandwidth of IP metropolitan network and backbone network remained industry leading. To maintain the leading edges in attaining comprehensive IoT network coverage, NB-IoT network was optimised continuously, while the scale of eMTC pilot trial was expanded according to demand. The Company accelerated cloud-network integration, and carried out coordinated deployment of IDC and cloud resources to further enhance its service capability. The Company connected cloud resource pools with the carrying network, enabling a cloud-led network. Furthermore, the Company introduced new technologies of SDN/NFV, and rolled out scale deployment of intelligent user-customised network products as well as home gateway products based on SDN technology, which allowed service activation within minutes, and supported rapid access to cloud services. By improving NFVI standards and building virtualised core networks, the Company established a foundation for future network cloudification. The Company built a comprehensive customer service system involving all aspects, processes and personnel in order to enhance its customer service capability. The Company optimised user experience of its mobile network, offered equal rights to new and existing subscribers, and provided higher transparency regarding customers’ spending. 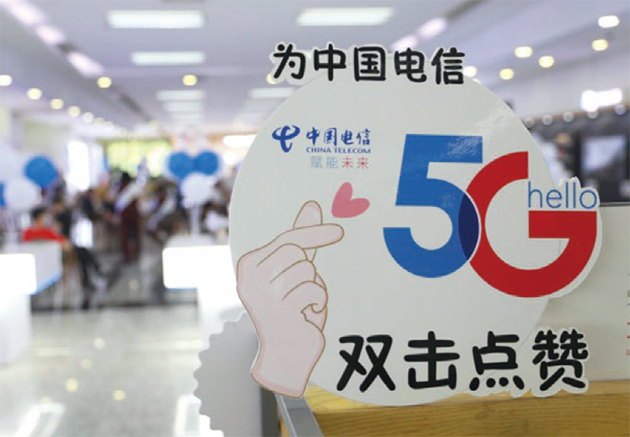 The Company also enhanced user experience of its broadband speed as well as video service quality, strengthened cloud-network integration and IoT service system, and offered relevant one-stop solutions. As a result, the Company achieved the lowest rate of complaints and the highest satisfaction level in overall terms in the industry. 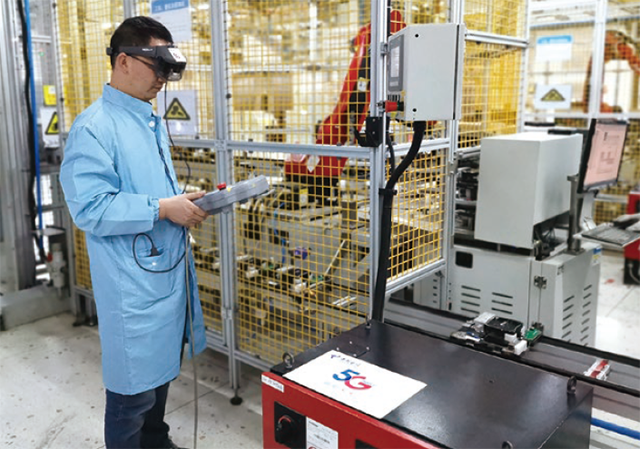 The advantages of the Company’s intelligent customer service capability began to emerge, with the roll-out of “Smart 10000” hotline accelerating, and service volume delivered by chatbots reaching 460 million times. 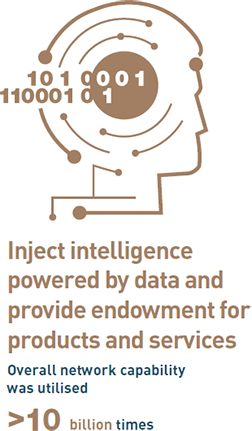 In 2019, focusing on network intelligentisation, service ecologicalisation, and operation intellectualisation, the Company will continue to propel the establishment of a “Trinity” value management system featuring convergence, integration and intelligentisation, in order to further expand the scale of its five business ecospheres and accelerate its high-quality development. Firstly, regarding convergence for scale expansion, the Company will reinforce and strengthen its position in the fundamental businesses market, striving to achieve more breakthroughs in terms of market share of mobile subscribers and more prominent edges in broadband services quality by deepening convergence of its fundamental businesses, insisting on a market-share oriented approach while leveraging large data traffic packages, full-service convergence and handset-driven strategies. 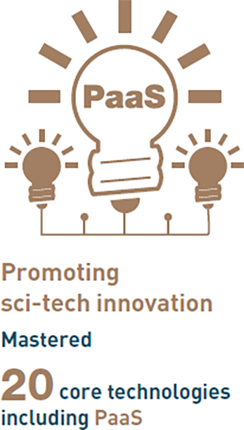 The Company will accelerate cloud-network integration, constantly enrich and upgrade its products and solutions based on cloud-network integration, and try to create a vertically integrated support system for service delivery, in the hope of shaping user experience featuring high quality, low latency and differentiation. The Company will also promote the innovation of convergence of Intelligent Applications services, optimise and upgrade its large data traffic packages and intelligent broadband services, while enriching applications such as Smart Home Networking, smart TV, smart home appliances, smart surveillance, and family cloud for family customers. Integrated “cloud + network + smart applications” solutions will be offered to government and enterprise customers, with a focus on cloud network applications in areas of administration, enterprise, finance, education and medical service, as well as ready-made solutions for small and medium-sized enterprises. Secondly, regarding integration for application development, the sharing of capabilities will be facilitated by consolidating capabilities that are common in the Company’s five ecospheres to drive business innovation and mutual development. In terms of sales channels sharing, the Company will coordinate the cross-ecosphere utilisation of physical channels from Intelligent Connections ecosphere, merchant channels from Internet Finance as well as government and enterprise channels from DICT, in order to enhance sales capabilities of convergence products and emerging services. With regard to data sharing, the Company will aggregate data of the five ecospheres to better support business development and service capabilities enhancement. The Company will also promote mutual development of its businesses and design all-in-one solutions for various customer groups through integrating products from different ecospheres, to achieve complementation of offers to customers. Thirdly, regarding intelligentisation for efficiency enhancement, the Company will promote precision marketing, and accelerate the launch and application of next-generation BSS, in order to gain an accurate insight of the market and its customers. The Company will enhance customer experience by pushing forward precision service and refining its customer management. The Company will also promote precision network operation by elevating the intelligence level of its network operation backed by strengthened use of Big Data analysis. The Company will also adopt precision management and extend the use of Big Data and AI in areas such as human resources and finance-related functions to enhance personnel efficiency. The Company will continue to construct high-quality networks. Guided by CTNet2025, the Company will propel network intelligentisation, and constantly optimise its three superior networks, namely mobile network, fibre broadband network and IoT network. By fully promoting “cloudification” of infrastructure and cloud-network integration, the Company will further enhance the comprehensive competitive advantages of its integrated cloud network resources. 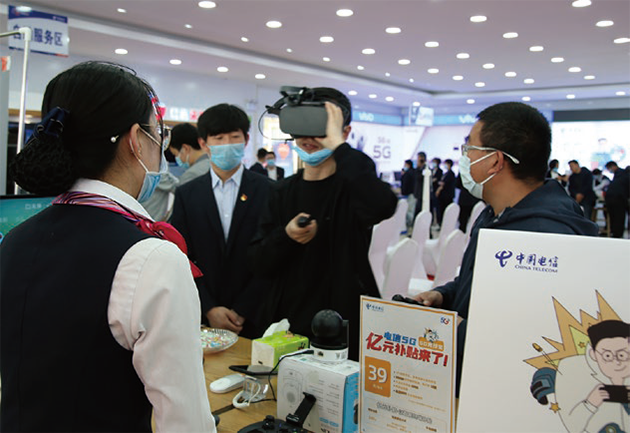 Firmly grasping the new window of market opportunities presented by 5G, the Company will work with both upstream and downstream partners along the value chain to explore ways to build an industry ecosystem in the future ahead of time. This will allow us to take a lead in shaping the market structure in the future, and laying a foundation for the development of 5G businesses. 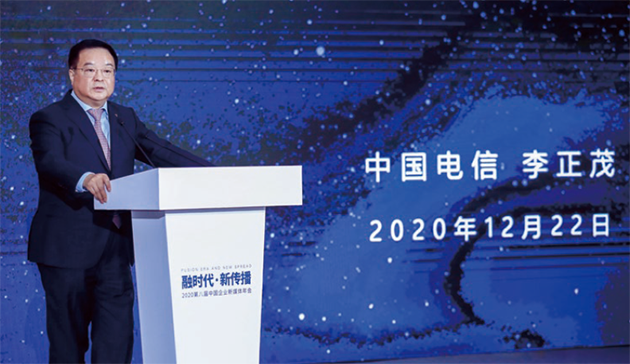 The Company will adhere to the new development principles and supply-side structural reforms, accelerate the promotion of high-quality development. Persisting in scale development as the foundation and value management as the core, the Company will continue to strive to become a leading integrated intelligent information services operator, and promote the common growth in its corporate value, its customers ‘value and its employees’ value.